The co-host of “The Talk” shared news of his hospitalization on Twitter Wednesday with her more than two million followers. 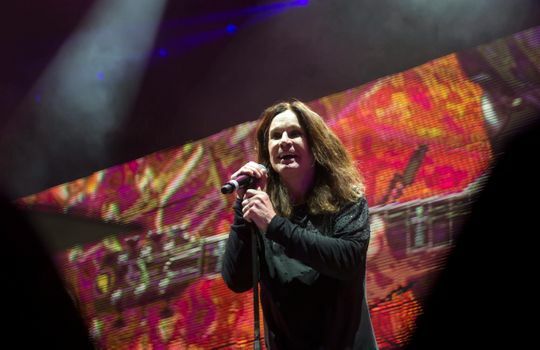 “As some of you may have heard, Ozzy was admitted to hospital following some complications from the flu,” Sharon tweeted. “His doctors feel this is the best way to get him on a quicker road to recovery. “Thanks to everyone for their concern and love,” she added. Last week the official Facebook page for Osbourne, 70, announced that a doctor advised he postpone the U.K. and European dates of his “No More Tours 2″ tour. “After seeing his physician again, OSBOURNE has been diagnosed with a severe upper-respiratory infection which the doctor feels could develop into pneumonia given the physicality of the live performances and an extensive travel schedule throughout Europe in harsh winter conditions,” the post from Jan. 29 read.